Sometimes an item you own jumps out at you and you can't help yourself but pair it with complimentary makeup and beauty accessories for colour co-ordinated outfits. Kimmy Case recently got in touch with me about a line of iPhone cases designed by women, for women, all in striking, bold prints. They are the perfect statement accessory and for the price, it's easy to have more than one in your collection. 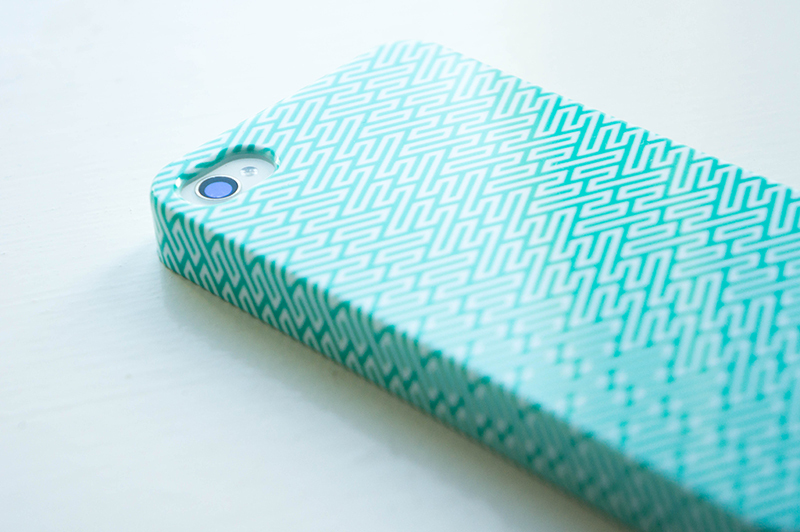 I went for the Oriental Hash Teal case*, a stunning teal and white pattern which moulds perfectly to your iPhone perfectly, resulting in a really lightweight feel to your phone. The case is really high quality and ultra durable. I also don't feel like my phone is going to fall out at any point, which is a problem I have with a lot of open iPhone cases, but certainly not this one. The print shouldn't fade over time either, as the designs are built in to the material, meaning loads of wear even when you scratch it. I like to pair mine with a little Smashbox Limitless 15 Hour Wear Cream Shadow in Neptune along the lash line and smudged out with a blending brush to create a really grungy day time look. 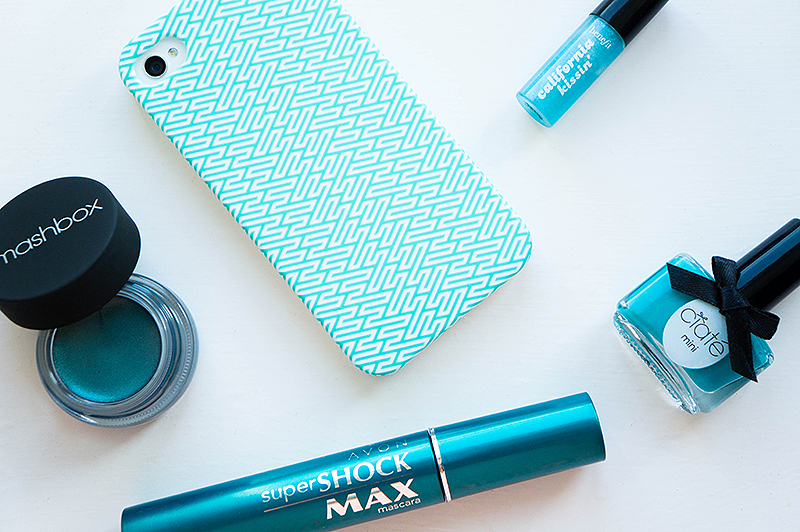 Keep it simple with a couple of coats of mascara, preferably Avon Supershock Max Mascara, for eyes that pop. Dab some Benefit California Kissin' lip shine on to make your teeth appear brighter, whiter and camera ready. Then finish off your look with Ciaté Nail Polish in Headliner, a beautiful opaque blue-green colour that brings out a tan and lasts for days with the right top coat. What Kimmy Case would you pick? Definitely a great choice of blog background! And I am loving teal or anything that has a mix of blue and green as it matches my eye colour well. This case is so great - I love the color! Thank you, I do have it on my phone more often than not. such a chic case! I wish they'd do more for the s4! I remember trying to find nice cases for my old Blackberry, was a nightmare! Hope you find something nice. I know, right? Once I saw the colour and the pattern, I knew I had to have it! 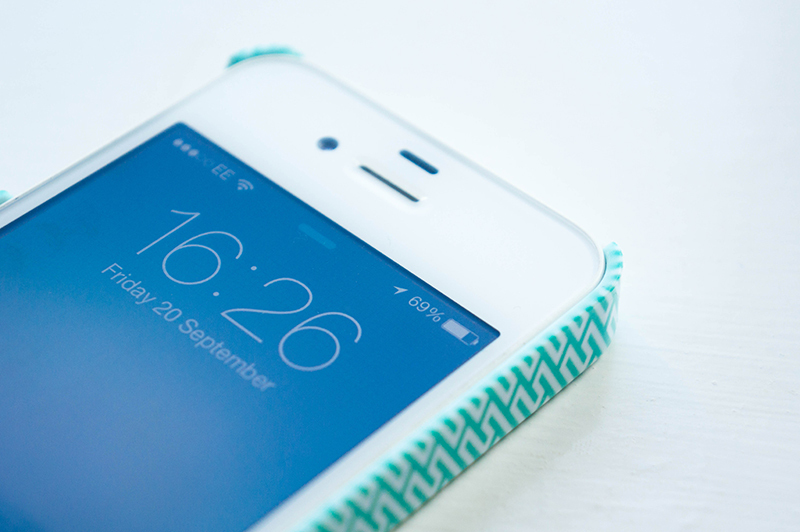 It's really well made and has protected my phone fantastically the past few months. I totally agree. I pair beauty products with non beauty products all the time. Why not? It takes things slightly extremely, but I find that it makes you feel good knowing you match. Thank you, it's a stunning colour that lasts for the entire day. Just such a calming colour. Teehee, I couldn't resist! I may have to do this as a look soon. And so wearable too, I think people don't realise just how great it can look on. This colour really pops doesn't it! Love it! Thank you, I adore it. I know right, it's like going clothes shopping!